So begins a rather fascinating account of this special group of people on Earth who are working for Orion. The quote is from a rather curious book, Other Tongues—Other Flesh [OTOF]. We must tell you about Orion. Many there wish to conquer the Universe. ... Orion systems want to destroy—remember, Orion is evil (negative). OTOF p. 501. Orion's ... Confederation of Evil. OTOF p. 504. The negative space intelligences from Orion ... "Orion" is used by space visitors to indicate the general area from which the evil influences originate. OTOF p. 506.
the evil destroyers ... migrated to Orion in spiritual form. OTOF p. 510. The ancient inhabitants of Mesopotamia and India knew that Orion's early rising portended storms. Even today, this section of Creation is a stormy section—one that seeks to conquer, to subdue. ... the evil (negative) Orion ... OTOF p. 513. Just why all this vitriol against Orion anyway? It's a pretty big place out there in the universe. Why in the world are the UFO entities so upset about these people? Is Orion really the home of "evil spacemen" who are planning to take over the Earth? In Florida there is a minister who claims the world is about to end ... Again, the word "Orion" gives him away. He is under negative control! In The Saucers Speak! a Wyoming evangelist is quoted as saying that God's throne and God, himself, are located in the Orion nebula. ... another Intruder! The UFO contactees received the same identical messages as the trance mediums communing with spirits. A link had been established. It was now clear (to me anyway) that all of these people were tuned into a central source. My earlier speculations seemed true—the UFO entities and the spirit entities were part of the same gigantic system. OTH, p. 282. The messages that have been received by mediums and mystics are from spirit entities. Again reinforcing the premise that these UFO entities are really just the same spirit entities that have been troubling the human race since the beginning of time. They are not space aliens visiting this planet in space craft as they would have us believe. UFO entities talking through people? Note that this woman went into a trance! 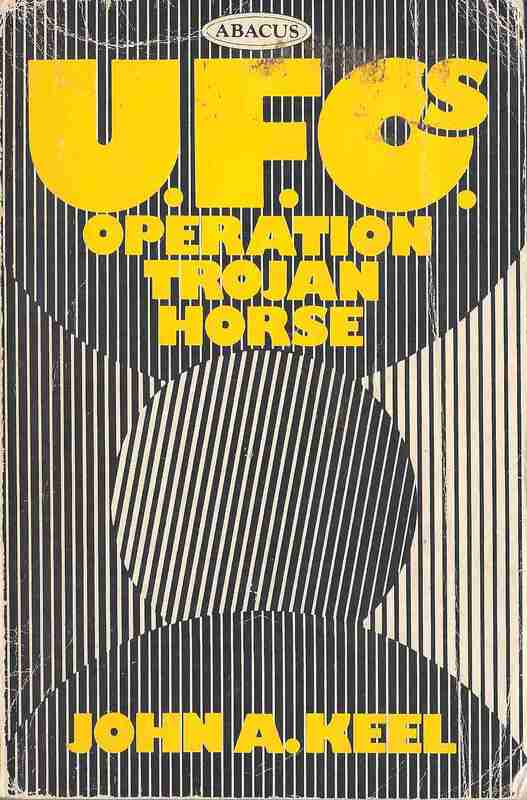 And remember John Keel's above comment: "The UFO contactees received the same identical messages as the trance mediums communing with spirits." And John Keel referred to these entities as evil liars and put-on artists! The Williamsons and Baileys continued their Ouija-board sessions, getting their own personal revelations from the Space Brothers, which led to a drastic falling-out with Adamski. In 1954, Williamson and Bailey published The Saucers Speak which emphasized supposed short-wave radio communications with friendly saucer pilots, but in fact depended for almost all its contents on the ouija-board sessions Bailey and Williamson held regularly from 1952 onward. Contactees are persons who claim to have experienced contact with extraterrestrials. Meanwhile, mediums, telepaths, sensitives, and UFO contactees throughout the world were all reporting identical messages. There was definitely going to be an unprecedented event on December 24, 1967. Ashtar was talking through Ouija boards to people who had never before heard the name. Another busy entity named Orlon was spreading the word. The curious thing about these messages was that they were all phrased in the same manner, no matter what language was being used. They all carried the same warning. OTH, p. 282. Many predictions of the December twenty-fourth disaster had been documented well in advance of that date. These messages came through in many different countries, from people who had no knowledge of or communication with one another. The UFO contactees received the same identical messages as the trance mediums communing with spirits. A link had been established. It was now clear (to me anyway) that all of these people were tuned into a central source. My earlier speculations seemed true—the UFO entities and the spirit entities were part of the same gigantic system. ... Some of the entities were evil liars. OTH, p. 283. Comment added by John Keel. And John Keel doesn't mince any matters with these entities. He refers to them as a bunch of evil liars and put-on artists! Well if we are dealing with lying spirits we certainly don't have to worry about any messages from them about "evil spacemen" from Orion! So putting this all together just what sort of approach can we take with the quotations from OTOF? Well, there is an old saying, where there is smoke, there is fire. So it would be safe to assume that there is some truth in the quotes. However, since we are clearly dealing with evil lying entities there will also be a fair bit of falsehood. ... beginning in the early 1950's, the constellation of Orion is frequently cited as the home of "evil spacemen" who are planning to take over the earth. OTH, p. 190. There is something coming from Orion and the UFO entities don't like it. Whatever it is, it appears that they are actually frightened of it! Just what could be coming from Orion that the UFO entities would be frightened of? They are trying to warn everyone! Or should I perhaps say, win everyone over to their side, to stand against Orion and the "evil influences" coming from there! The Orion people are The Intruders in your world. OTOF pp. 501, 503, 504, 506, 510, 513-515. These people are sometimes small in stature with strange, oriental type eyes. Their faces are thin and they possess weak bodies. ... The Orion people are The Intruders in your world and they come from planets belonging to countless star-suns engulfed by the nebula of Orion. We simply reject the rest as rubbish. Taking this approach it is actually possible to obtain a reasonable amount of information that can be used to construct a set of points or marks identifying just who does constitute the small group of people on Earth working for Orion. the "sorrows" of Earth?? our mission?? the Father's authority?? the Infinite Father?? Pity?? Love?? Pray?? These are very strong religious sentiments!!! Do I need to comment on "for they know not what they do"? These UFO entities are religious in nature by what they are saying! They belong to a religious organization. In The Saucers Speak! a Wyoming evangelist is quoted as saying that God's throne and God, himself, are located in the Orion nebula. ... another Intruder! OTOF, p. 526. Do these two people belong to a religious organization? The answer is clearly yes! We are on track. In fact we are dead on track! Better yet, before investigating these two quotations more fully we can even construct our second identifying mark! Just what sort of people are these? Well they are both "ministers" of a religious organization. Are they Buddhists or Moslems? Of course not. It should be obvious that a minister who is claiming that the world is about to end is most likely to be of some Christian persuasion. Similary for the evangelist. In The Saucers Speak! a Wyoming evangelist is quoted as saying that God's throne and God, himself, are located in the Orion nebula. Once again, the word tells the story. He preaches that the Flying Saucers are piloted by fork-tailed devils—another Intruder! OK here's the process for information extraction. Some of this is junk. Now what do we accept and what do we reject? Sure, the book exists. Accept. a simple description of the person. Accept. Dark, heavy clouds came up, and clashed against each other. The atmosphere parted and rolled back, then we could look up through the open space in Orion, from whence came the voice of God. The Holy City will come down through that open space. The Present Truth, Vol. 1, No. 3, August, 1849. Picture it if you can. Like the ships at Smyrna. A vast mass of humanity pushed to the edge of a smoking, ruined, convulsing world. Caught between the fires of time and the realities of eternity. Desperate for a way off this planet. Scanning the skies for the first hint that rescue is on the way. Staring into space. Straining their eyes for the first glimpse of their Lord as He emerges from the corridors of Orion and rides the cloud closer and closer to the earth. Psychic Roulette, pp. 158, 159. Note: neither of these two quotations are saying exactly that God and His throne are located in the Orion nebula. But they do clearly imply that when Jesus returns He will descend from Heaven down through the open space in Orion. 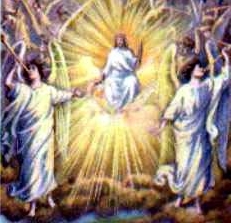 And the Bible is very clear that when Jesus returns, all of the holy angels will return with him. We have easily produced two quotations showing that there is a body of Christians who believe in some connection between God and Orion. Also clearly from one of the quotes the belief is that Jesus will return down through the open space in Orion. In general you don't hear much about Orion from Christians. It would be safe to assume then that it is highly likely the evangelist in the OTOF quote was one of these Christian believers. Having said that, it would also be extremely safe to assume that the evangelist was more likely preaching about the return of Jesus more than the actual location of God and His throne. Simply put, he was probably saying that Jesus will return with the holy angels down through the open space in Orion and that the UFO entities have twisted this to him saying that God and His throne are in the Orion nebula. The two thoughts are not completely dissimilar but the second is far more extreme and not exactly the intent of the first. The concept of Jesus returning down through the open space in Orion would probably sound a bit odd to the average Christian. The thought of God being located in the Orion nebula is a much stranger concept given the standard view of Heaven that most people hold. The general belief is that when people die they go to Heaven. Having the location of Heaven in Orion would just sound really weird. And it is exactly for this reason that it is very safe to assume this is why the UFO entities have twisted what the evangelist was preaching. Note that the two quotations we produced do allow for the concept of the gateway to Heaven being out through the opening in Orion. And perhaps the location is there. One day we will all know. So we can conclude that this is a very safe assumption to make. The evangelist was most likely preaching about the return of Jesus and not the exact location of God and His throne. As I said, given that there is a body of Christians who actually believe this, this is more likely to be the case. It is very safe to assume that more than likely this understanding of the matter is correct. And the UFO entities have twisted this point to what we read in the quotation. When Jesus comes back with all the holy angels He will descend from Heaven down through the open space in Orion. This is really what the evangelist was preaching. Simply put what the evangelist is saying gives him away as an Intruder [to the entities]. Accept. Pretty obvious. He is an evangelist. Accept. What do you think? Sure he may have said something about UFOs or flying saucers but do you really think an evangelist would say this? Reject as rubbish. However there is a very important point to this comment. Just why is it there anyway? The quotation closes with "another Intruder!" Why? Oh probably because he said they were fork tailed. He was preaching that when Jesus comes back with all the holy angels He will descend from Heaven down through the open space in Orion! Note: the entities twisted this to the evangelist preaching "that God's throne and God, himself, are located in the Orion nebula" though for this example this is still pretty similar. And more to this: it was actually this point that identified the person as an Intruder and not the silly comment about forked tails. The fork-tailed comment was in fact a red herring! The entities' view. We have pretty much discussed this in the previous info point above. Anyway from this quote we have found that part may need some reinterpretation or minor adjustments. This does not mean that we change the quote! Just that we understand it more correctly. So we can amend our rules as follows. 3. the rest may be rejected as junk or rubbish or just smoke. "Orion" mentioned in his preaching shows he is under negative control. location of person. and he is a minister. Accept. Most likely a standard belief a minister would be preaching about. Definitely Accept. To anyone listening he is selling something. Hints at transaction with money involved. For a minister this sounds curious. However there may be some truth to this. Suppose you attend a religious gathering and a message is presented. Can there be any money involved in this? Well a standard approach at many church functions is to take up an offering to defray expenses. Most likely what was happening. Selling people a piece of land? Well we get the drift it may be just giving an offering. What about the land? He may be just preaching about Heaven or the New Earth. Pretty clear from the Bible that God's people inherit the earth. Abraham looked for a city whose builder and maker was God! Hebrews 11:8-10. The Redeemed will build houses and inhabit them. Isaiah 65:21. They shall also plant vineyards and enjoy the fruit of them. Same verse. So the UFO entities have jumped on this and claimed he is selling people land for money. Well the previous quotation gives us the answer here. There is a link with Orion. The idea is that if Jesus is returning with all the holy angels down through the open space in Orion just where is He coming from? Well Jesus is coming from Heaven. Oh, so Orion may be the location or gateway to Heaven? It makes sense this is where the land would be. In Heaven. So the piece of land in the vicinity of Orion is Heaven! Yes we already worked through this. The minister is preaching about Heaven and the people have obviously given some offering to help defray expenses and the UFO entities are screaming he is selling people land in the vicinity of Orion for a few dollars. We should expect no less from these miserable lying entities. Any Christian can answer this question—well those Christians that believe that Jesus is coming with all the holy angels down through the open space in Orion. A dud question. We have answered this already. Money given for offering. The minister is not accumulating wealth. Again this is a lie of the entities as we should expect. The entities' view. Linking this with the other quote he would be considered an Intruder. OK we have a pretty good idea of what is happening in this quote. And we can extrapolate enough information out of these two quotations to make a point or mark of identification. Actually it is quite possible to construct 3 identifying marks from these quotes. But we are going to take one at a time! The obvious common ground between these two quotations is Orion: that these people believe that Orion is the gateway or location of Heaven. The more standard accepted belief connected with this thought is that Jesus will descend from Heaven with all the holy angels down to this Earth through the open space in Orion. The quotation by George Vandeman from Psychic Roulette showed this very clearly. On my UFO page I refer to this belief as the Orion Hypothesis. This then is our next identifying mark of the small group of people on Earth who are working for Orion. They believe in the Orion Hypothesis: that Jesus will descend from Heaven with all the holy angels down to this Earth through the open space in Orion. They believe that Jesus will descend from Heaven with all the holy angels down to this Earth through the open space in Orion. Now a comment on this. Someone may say, wait a minute the quote actually says that they are saying that God's throne and God, Himself, are located in the Orion nebula. Not exactly the same as your identifying mark. As explained above it was adjusted to make it more clearer and correct and easier to identify the group of Christians that believe there is a connection between God and Orion. 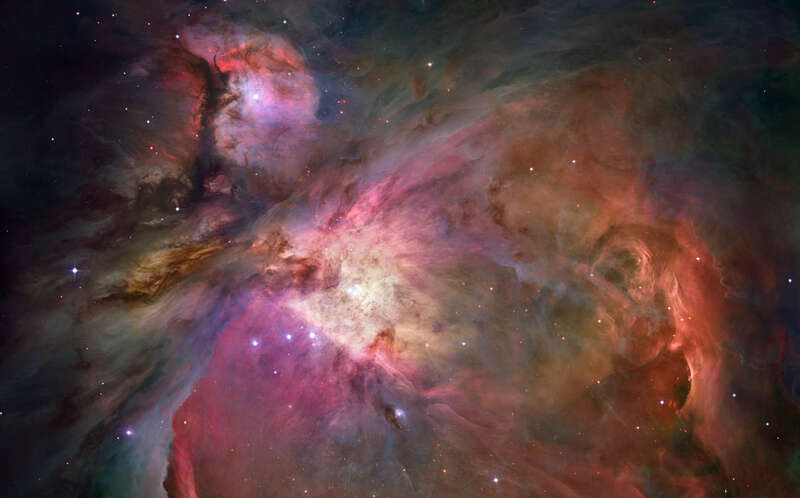 They believe that God's throne and God, Himself, are located in the Orion nebula. Now ask the question, just which group of Christians believe this? It would not take too long to run into some Christians who do believe in some connection. But more than likely they would respond "well yes we do believe there is a connection but it is that Jesus will come down through the open space in Orion to this world." So whichever way you go you will still arrive at the same destination: the group of Christians who believe that Jesus will descend from Heaven with all the holy angels down to this Earth through the open space in Orion. The identifying mark is correct. There is something coming from Orion and the UFO entities don't like it. In fact I would go as far to say that they are actually frightened of it! Just what could be coming from Orion that the UFO entities would be frightened of? Well as we have now read, there is a group of Christians who believe that Jesus and the holy angels are coming down through the open space in Orion. We read this before in the quote from Psychic Roulette. Sure, not all Christians believe this but this group does. And if it is true the UFO entities indeed have great concern. John Keel has identified them as the same spirit entities that work through trance mediums. And they have been known to speak through people just like the lying spirits that are recorded in the Bible. and I will bring thee to ashes upon the earth in the sight of all them that behold thee. Ezekiel 28:14, 16, 18 KJV. Not a happy end. And all his followers, the other lying spirits, will be destroyed along with him. Orion systems want to destroy—remember, Orion is evil (negative). OTOF p. 501. So yes, the UFO entities have great concern for what is coming down from Orion. I will bring thee to ashes upon the earth, ..."
"Orion systems want to destroy ... the evil destroyers ... migrated to Orion ..."
So yes, the UFO entities have great concern for what is coming down from Orion! Alright, let's move on to the next identifying mark. Now I am basically going to construct this one with the information obtained from the previous one. They keep the seventh-day sabbath according to the 4th commandment of God's Holy Law. Now at this point I would expect someone to say wait a minute this is worse than the last one. You really need to stick to George Williamson's book. Well the point is valid as it does help identify this group who believe in the Orion connection. But the query is also valid—it would be better if we could show this from George's book. Actually this is quite possible though we have to go off the page a bit and construct a new rule to do this. And we are also going to use this new rule to construct point number 6 but that point will be so embarrassingly obvious no one is going to question it. Before doing this we need to consider some curious points about George's book. As should be pretty obvious by now his book contains not a few communications from the UFO entities or as they are sometimes called, the "space people." This book contains extraterrestrial communications and it is riddled with Bible quotations. It appears that the majority of the messages from the space people are riddled with Bible quotations. It leaves one with the very strong impression that there must be some sort of weird connection between UFOs and the Bible. This must be disturbing for those who would like to get rid of the Bible completely and embrace an extraterrestrial approach to universal salvation. But it does not appear to be a good connection. As with this book we have come to a strange part where a group of Christians are being identified as Intruders and in general troublemakers. Wouldn't you expect a book full of Bible quotations to be supportive of Christian groups? So there is definitely something wrong here. This Christian group definitely has some identification points and they can be clearly found in the Bible. Could we expect to find any in this book? If they are important enough it is possible. If this book is not supportive of this group and clearly it is not, would we not expect any identification points to be either given in a negative view or at best just mentioned or taking a different direction or plain going nowhere? is mentioned in the book more than once. The worship of the Creator and the study of His laws, causes and effects; of nature and the great powers waiting for discovery within her bosom . . . all these should be massed into ONE. Hence, science and religion are one, just as everything in the Omniverse is ONE! OTOF p. 34.
the Universal Laws of the Infinite Father. OTOF p. 120.
the Creator, desiring to create worlds, commanded His Four Great Forces to establish law and order in the universe ... OTOF p. 148. Jupiter is the Creator's Interpreter of Law. Knowledge and Wisdom flowing from His throne. This planet gives to those who desire it: "Ask and ye shall receive; seek and ye shall find; knock and it shall be opened unto you." OTOF p. 166.
this is not living true Universal Law of the Infinite Father. OTOF p. 193.
these beings instructed the prophets in the beauteous laws of love. OTOF p. 350. The Great Avatar never said: 'Till the end of the world", as so many theologians would have us believe. Actually, He said: "Till the end of the age." Immediately we see that He was referring to the end of the Piscean Age, not the cataclysmic so-called "end" of the literal ground beneath our feet. Further, Christ never spoke in negative terms for His was a ministry of positive thought in contrast with the "thou shalt nots" of the old Mosaic Law. OTOF p. 411. Now it's true in some of these quotes George [and the UFO entities] is just referring to natural laws that govern the universe but he does state these are Laws of the Creator. The quote about living true Universal Law of the Infinite Father is hardly likely to be talking about obeying the laws of gravity! And any book that talks about Laws of the Creator should mention somewhere the 10 Commandments. And this book clearly does as you can see in the last quote. And they are spoken of in a negative light. is this an identifying mark for this group of Christian believers? Yes. They keep the seventh-day sabbath of the fourth commandment. It is one of the Ten Commandments known as the Law of God. It is such an identifying point that sets them apart from most other Christian groups that they actually take part of it in their name. does the book give the correct Bible understanding of these Laws? You can look but you won't find it. are the Ten Commandments considered in a negative light? see the last quote. are the Creator's Laws mentioned more than once in this book? Yes. Using the rule of negative implication we can very definitely claim the Law of God as an identifying point for the small group of people on Earth who are working for Orion in accordance with the extraterrestrial communications of the UFO entities and the space people as recorded in the book Other Tongues—Other Flesh written by George Williamson. They keep the seventh-day sabbath according to the fourth commandment. This brings us to the strangest of all these points of identification. Someone's no doubt going to say yeah this one takes a bit of an imagination. Maybe. But this point is a lot of fun and there is just no way I am going to leave it out. Just how close can we fly with this? It doesn't take too much to ask yourself—are their any church organizations in this world that use this sort of terminology? Confederation or similar. How about Conference? Or General Conference? There are actually a few different church organizations that use this term. And yes, the main body of seventh-day sabbath-keeping Christian believers use this term and refer to their world headquarters as the General Conference!! They have the Orion Confederation: they refer to their world headquarters on the Earth as the General Conference. they refer to their world headquarters on the Earth as the General Conference. They have their own Council: yes, this body of Christian believers have an Annual Council. I didn't make this 6 as it is really part of 5 if we mention it at all. Now to mark number 6 the really embarrassing one. This will be by the rule of negative implication but it's hardly needed this one is so obvious. But we will step through the points anyway. Here it is: the very last chapter of George Williamson's book is titled "THE REMNANT"!! Well this body of Christians have been proclaiming for years that they constitute the true remnant of Bible prophecy! Is this an important identifying point of theirs? Note the central thought: This has brought forth the remnant, or the [ ] Church, which keeps the commandments of God and the faith of Jesus. Certain souls have evolved to the place where the old Earth can no longer teach them anything, therefore, either they or the Earth must graduate to a higher level. Shortly, the entire Earth will be made new in the new vibratory rate and the advanced souls, or The Remnant, will inherit the kingdom of God on Earth. OTOF pp. 572, 573. As hath been told thee aforetimes, there be a change rapidly metamorphosing much of the material world through the introduction of Cosmic Energy into the very atomic structure of all material objects. ... At the appointed time, this influx of Cosmic Energy, vibrating at an inconceivably increased speed, will cause changes marvelous to behold. OTOF p.593. The Cosmic Energy now bombarding the Earth and her inhabitants will actually change man's thinking. OTOF p.594. Therefore, if man's brain is nothing but a receiving and transmitting instrument similar to a radio set, he must be able to receive and interpret the "music of the spheres" or the Great Cosmic Intelligence that forever is permeating all space; man merely must "tune in" to it. Those who refuse to receive the new vibrations mentally, will lose their physical equipment on Earth and thereby give up their "radio sets" that will not accept the new lessons. OTOF p.595. Those individuals who refuse to accept the higher vibrations mentally, allowing for great spiritual growth and advancement, will experience a definite physiological reaction. OTOF p.596. ... if a person refuses to accept the new Universal lessons presented to him for his use, he sets up an action within his body that causes the RMF to collapse. Clotting occurs and he is said to have died of a "heart attack". The only reason heart attacks are on the increase is because of the new vibrations and man's inability to cope with them, accept them, and understand them. OTOF p.597. Later, The Remnant, will be returned to the surface of Earth where they will be the new race in a new world. OTOF p.592. Even the most bitter opposers who do not accept this Christian group's views on the remnant would have a lot of trouble swallowing these quotes given above. Is the remnant given in a negative light? This point was not absolutely necessary. Given what is written above this is hardly necessary. Is the remnant mentioned more than once in the book? We have a whole chapter dedicated to this topic! And it is referred elsewhere in the book. So yes by the rule of negative implication we can very certainly claim the remnant as an identifying point for the small group of people on Earth who are working for Orion. They claim to be The Remnant. In The Saucers Speak! a Wyoming evangelist is quoted as saying that God's throne and God, himself, are located in the Orion nebula. OTOF, p. 526. Straining their eyes for the first glimpse of their Lord as He emerges from the corridors of Orion and rides the cloud closer and closer to the earth. Psychic Roulette, p. 159. They believe in the writings of Ellen White. We now have 7 identifying marks for the small group of people on Earth who are working for Orion. 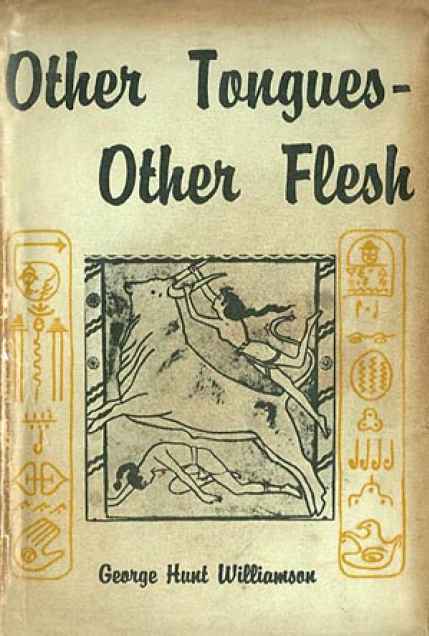 And these 7 points of identification have been constructed from George Williamson's book Other Tongues—Other Flesh according to the extraterrestrial communications of the UFO entities and the space people. The UFO entities hate this group of people and say that they upset their plans! Does anyone recognize which group of Christian believers this is? Now someone may say is this group of Christian believers really small enough to be considered a small group of people on Earth? We have clearly identified that it is a Christian group we are dealing with. From the very beginning of this study it was very obvious that we were in an area of religion with respect to the UFO entities. This was very clear from George Williamson's book. Having said that the rest of this answer will use very simple Christian terminology. Of the two people identified one is a minister and the other is an evangelist. This point wasn't expanded on but it is highly likely that the UFO entities are actually targeting the preachers in this group of Christian believers. That is, the gospel workers who are tirelessly working bringing in souls for the kingdom of God. Considering that we have determined that the UFO entities are the same spirit entities that communicate through trance mediums and are obviously the same lying spirits that the Bible mentions, this vitriol directed at God's ministers and evangelists should really come as no surprise! Note: this means that if we take the evangelists and ministers of this group of Christians as constituting the Intruders according to the UFO entities and space people this group suddenly gets a whole lot smaller! 4 10s: the above image contains 4 tens. Can you find them all? 4 Cs: the four main parts of the above image can each be identified by a word starting with the letter C. Can you name the four parts? Review and Herald Publishing Association, Washington, DC. Summary of Fundamental Beliefs: a document I was given about 1980. Ellen White pic etc courtesy of the Ellen G. White Estate, Inc.
1. UFOs: It Has Begun, 97 min - Documentary - 1976 (USA), Sandler Institutional Films, Inc. This documentary appears to have taken some flack for some possible questionable editing of some interviews. The quote used in this study looks OK. The Robert Friend quote has been paraphrased. If anyone wants to check this, I believe that the documentary can be viewed on-line for verification. **Note: made up of some other images which are freely available and hopefully should not be copyrighted. Humble apologies to authors if are. UFO entities' hidden agenda for planet Earth finally revealed! Hidden in some UFO communications a message has been found that reveals their true hidden agenda for planet Earth! Why is this movie anti-religion and pro-Evolution? Actual UFO communications do not support the sentiments promulgated in this movie! Mixture of interesting topics: Prophecy, UFO information, etc. Last revised: 27 Mar 2019. Support the small group of people on Earth who are standing in the way of the UFO entities' plan for complete world conquest! Take your stand against the coming UFO threat!